Expedition 56 Flight Engineers Oleg Artemyev and Sergey Prokopyev of the Russian space agency Roscosmos have completed a spacewalk lasting 7 hours and 46 minutes. The two cosmonauts opened the hatch to the Pirs docking compartment to begin the spacewalk at 12:17 p.m. EDT. They re-entered the airlock and closed the hatch at 8:03 p.m. EDT. During the spacewalk, the duo manually launched four small technology satellites and installed an experiment called Icarus onto the Russian segment of the space station. It was the 212th spacewalk in support of International Space Station assembly, maintenance and upgrades, the third in Artemyev’s career and the first for Prokopyev. Congratulations to both the cosmonauts .Greate achievement . I enjoyed the space walk live telecast . I would like to ask few questions that it’s important to me to know. I will appreciate the honest answer. Thank-you so much. The station in space moves or stay fixed with out any movement? The station stands on a vertical above what city approximately and at what distance from earth? What temperature in average is outside of the station? When a Cosmonaut start spacewalk, is him attached to any restraining item? If so, why he can not walk free in space since the station is there in air too? It maybe stupid questions but it confuses me. Thank-you for the answers and I wish the very best of luck to all out there. The station travels around the Earth 16 times a day, or once every 90 minutes, moving at a speed of about 17,500 miles per hour or about five miles per second. The station’s average altitude above Earth’s surface is 250 miles. The temperature outside the station varies between 250° F in the sun and -250° F in the dark. 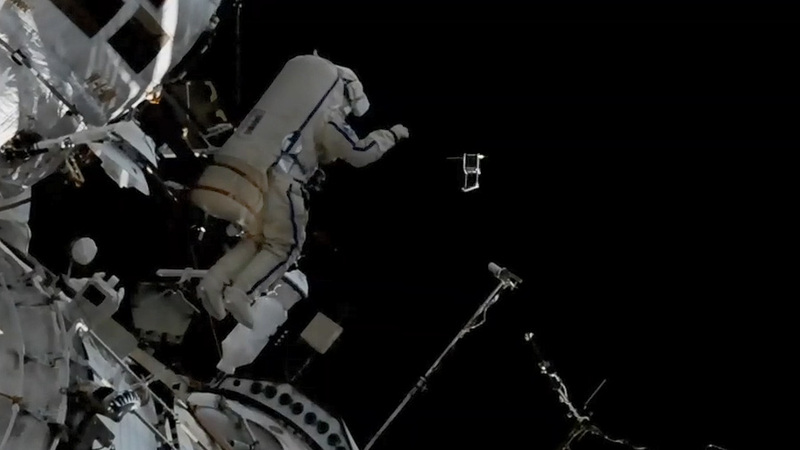 Spacewalkers use tethers to stay attached to the space station at all times.